Your church must accept online donations. Online giving is the new norm. This might not be the case for your church today. But this is true for many of the churches we serve, and it’s only a matter of time until this is the case for your church. Online giving is growing in popularity every year. It’s only a matter of time until the majority of the donations made to your church are with a debit/credit card or ACH (bank transfer). When you consider that online shopping and mobile banking are becoming the norm (especially for younger generations), you can easily see how the trend in online and mobile giving will continue to increase. For your church to accept online donations, you must work with a software company (like Tithe.ly) to meet your online and mobile giving needs, which brings me to my next point. To process a donation online, your church or donor will need to pay a processing fee. There’s no way around paying a processing fee. As I’ll explain below, every, single, online giving provider pays a fee to process your donation. Why does Tithe.ly require a fee? Processing fees are technically complicated. Every time you make a purchase or donate money online with your debit or credit, or online with your bank account (ACH), you incur a processing fee. When you purchase a product or service with your debit/credit card, a processing fee is involved. From paying for groceries (product) to getting a haircut (service), you will incur a processing fee when you use your debit/credit card. Normally, this processing fee isn’t itemized on your receipt. It’s just added to the price of whatever you purchased. For online giving, a processing fee is also involved. But it’s typically mentioned before someone donates. Why is a fee charged when I donate online with my debit/credit card or bank account (ACH)? To make online transactions work, there are four organizations involved. Here’s a brief overview of these organizations. Credit card associations are the companies who provide the credit cards, such as Visa, MasterCard, or AmericanExpress. In general, credit card associations create the rulebook for everybody else involved, and set the terms (rates, rules, etc.). Now, the issuing bank is the organization (bank, credit union) who issues you a debit/credit card and maintains your bank account or credit limit. In short, whoever issues your debit/credit card serves as the middleman between you and the credit card association (Visa, MasterCard). 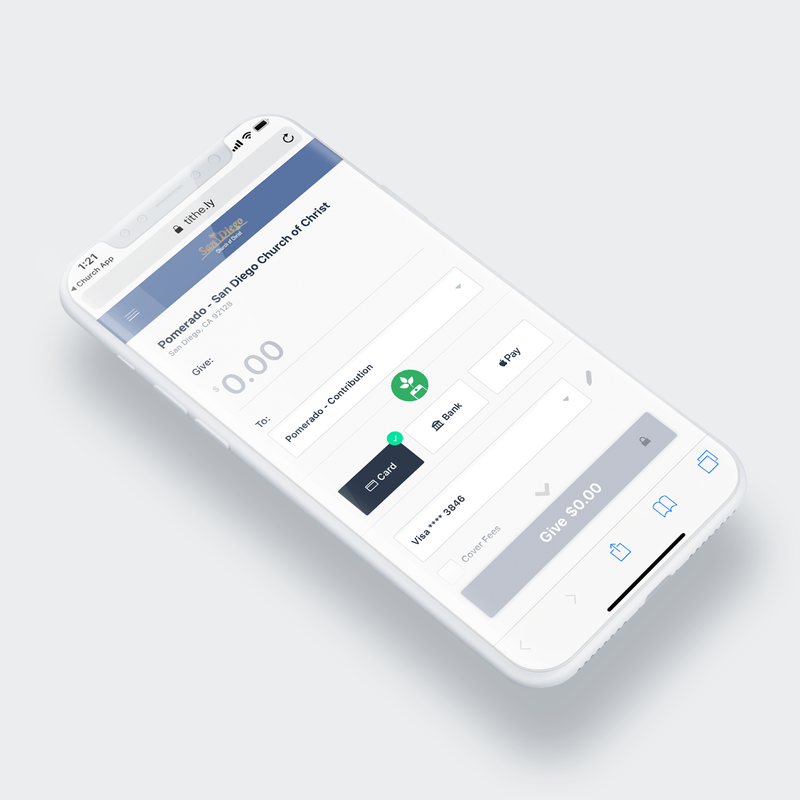 For online giving, a payment gateway, such as Stripe, CardConnect, and Braintree, processes your donation, secures your data, and sends the request to your issuing bank for approval (or denial), and then has it delivered to your church. Finally, to process a donation, your church needs to use online giving and mobile giving software (like Tithe.ly) to make it possible. At Tithe.ly, we work with a payment gateway to optimize your online giving to increase your giving, support your mission, and advance the Kingdom of God. The online and mobile giving provider you choose isn’t all about the processing fees. There are two big reasons why this is the case. First, the online and mobile giving tools you use will influence whether or not your church members will actually use them. 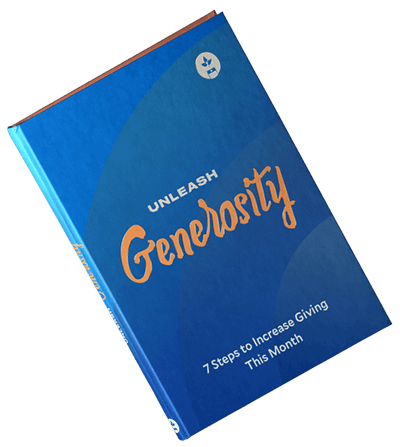 If you create a difficult online giving experience, then many of your church members won’t use it. This was the case for St. John Lutheran Church before they switched to Tithe.ly. Second, the technology you use in your church doesn’t exist in a vacuum. To manage your church, prepare for your worship service, and make disciples, you use a variety of tools and software, which means it’s vital for everything to work well together. If not, you’re just creating a ton of extra work for you and your team, which isn’t good for anybody. At Tithe.ly, you get so much more than a slick online giving form. With that being said, let’s take at how much it does cost to use Tithe.ly. There’s no “skimming off the top"
This pricing is simple and straightforward. On the surface, this can sound complicated. At Tithe.ly, you can encourage givers to cover the processing fee when they make an online donation. This is a simple process, and it only requires the press of a button. For different online giving providers, they don’t provide this option, or they require givers to cover this fee manually. For your church, this is something you need to know. Many online giving providers charge a monthly fee to use their service. In this scenario, it doesn’t matter if anyone in your church donates online or not. You’re going to pay a monthly fee. At Tithe.ly, this isn’t the case at all. As I mentioned above, you don’t have to pay a monthly fee, there are no contracts, and you can cancel at any time. At Tithe.ly, we use what is called a pay-as-you-go business model. Said another way, you don’t have to pay for anything unless you use the services. We’re not the only business in town with this business model. For example, utility companies (water, electric, or gas), mobile phone companies, and email service providers (Mailchimp) offer a similar option for their users. In the end, you can only get charged for what you use. For transparency, let’s take a look at how Tithe.ly uses the processing fees. Ministry-minded pastors and individuals built Tithe.ly. One of our founders was a pastor for 30 years, our lead developer is the worship director at his church, another partner was a youth pastor for four years, and the rest of the team is active in their local church. We want to provide your church with the best software at the lowest price possible. Even though we make giving easy, it’s actually really complicated behind the scenes. To process a donation made online to your church, it costs money to deliver it to your church. As an online and mobile giving software provider, this isn’t something we can avoid. We incur a fee to deliver a donation from a giver to your church. When making a donation (or purchase) online, you want to ensure your information is secure. In light of criminals who strive to steal debit/credit card information or identities, it’s essential for us to ensure your date is secure. To do this, we’ve created a proprietary security system and employ a team of people to ensure donations made to your church are highly-secure. Today, everyone in the United States is used to quickly making a payment with their debit/credit card. Regardless if they order something online or swipe or insert their debit/credit card at a gas station, they expect an easy and straightforward experience. On the surface, this might not like a big deal for your church. But it’s actually really important. When someone makes an online donation to your church, they expect to have a simple, fast, and smooth experience like they do when they shop. Is it difficult for your church to make an online or mobile donation? Then there’s a good chance you’ll lose their financial support. Is it easy, simple, and fast for someone to contribute money? Then rest assured that your church members will use your online giving platform. To develop online giving forms or mobile giving apps that are easy to use takes time and money to build, maintain, and update. When it comes to online giving, this isn’t something you can take for granted. What’s the best online giving provider for your church? There’s more to choosing an online giving provider than fees. You need a partner—not a product. You need an online giving provider who will keep their pricing low and straightforward, as well as provide you with the additional features you need to efficiently manage your giving. Do they offer volume-based discounts? What online giving tools do they offer? Online? Mobile? Text? Kiosk? Manual? Can I integrate their online giving with our church management software? How easy is it to set up recurring giving? Can donors choose to cover the processing fees? What type of customer support do they provide? Live chat? Phone? Email? Social media? Don’t have an online or mobile giving provider? Click here to get started for free at Tithe.ly. We’d love the opportunity to serve you and your church.